Free monthly newsletter > > Sign Up Here! Another review of the finest clay blogs and the great stuff they posted in February. I’m still devoting most of my time to Expert Clay so this is a minimalist review. Let’s get right to the blogs! What were the “must read” pottery blog posts during the past month? Do you like this page? Share it! Happy New Year! Wait, what? It’s almost March?! Okay, I’m a little late with the Clay Blog Review. Actually, I’ve had thoughts of putting it on hold temporarily. I’ve been busy working on the new site over at expertclay.com. If you haven’t seen it yet, go check it out. There are big things planned. Perhaps the CBR will come out less frequently, or maybe not at all for a while. Or maybe I’ll just offer a trimmed down version. We’ll see. Thanks to everyone who follows along and the bloggers who share so much on their blogs. I hope 2018 brings you what you want. Don’t forget to sign up for the Pottery Making Newsletter. You can also buy some awesome pottery shirts to help support this site. Who had the top pottery blogs of the past year? Check this list to find out if your favorite blog made it! And if you enjoy reading about pottery and ceramics, you can sign up for the Pottery Making Newsletter. Let’s get to the blogs! This is it! The last Clay Blog Review of 2017. It has been a great year. And be on the lookout for a list of the top blogs of the year in the next few days. If you love pottery you can sign up for the monthly or bi-monthly newsletter. 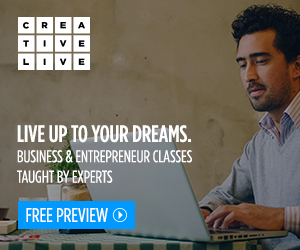 New tips, offers, and opportunities sent right to your email inbox. Pots and pieces: Mark Hewitt Pottery. Firing 98 and Kiln Opening. Winter 2017. The last CBR of 2017 is sponsored by Expert Clay. This is a new site that we’re working on to help clay experts share what they know and clay learners become experts. You can sign up for updates and information at expertclay.com. It’s going to be awesome! It’s beginning to look a lot like… sales season? Is anyone else feeling the end of year crunch time? Judging by the amount of great work linked below and less process shots, most of us have stocked up to be ready for the holiday gift buyers. Enjoy viewing the great work and other great pottery blogging from the past month. And be sure to sign up for the Pottery Making Newsletter to get more tips, opportunities and resources right in your inbox. 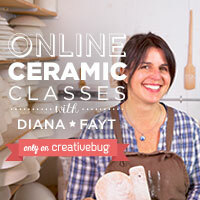 Creative Bug offers a variety of great classes and workshops. Start with a free trial now! Brandon "Fuzzy" Schwartz is a full time teacher, dad and husband and a part time potter, designer and photographer. All content Copyright © 2019 Brandon Schwartz. Thanks for your support!